The 13th International Muslim Youth Cultural Cooperation Meeting was held by the International Youth Forum (IYFO) in Istanbul. 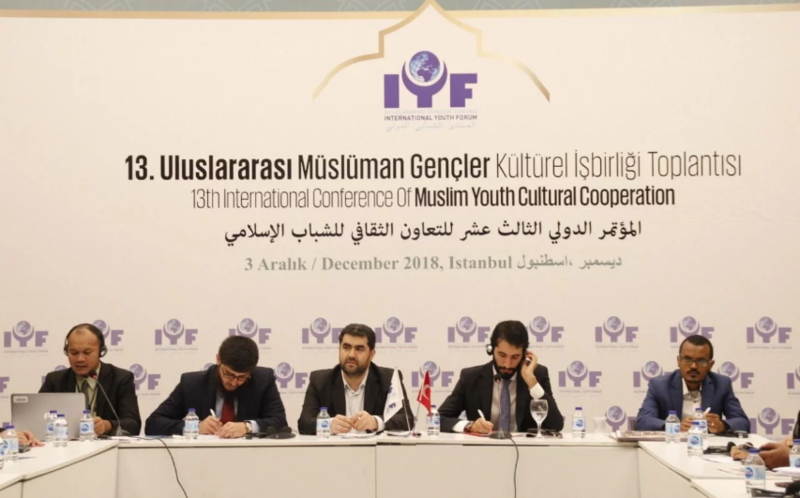 The International Muslim Youth Cultural Cooperation Meeting that organized by the International Youth Forum (IYFO) for the 13th time, was held in Istanbul with intensive participation. Saadet Party (Felicity Party) Konya Deputy Abdulkadir Karaduman and IYFO Vice President Yilmaz Balcin attended the meeting. In the meeting where the problems of Islamic countries and the situation of Muslim youth were discussed, important steps were taken for future cooperation. Speaking at the meeting, Saadet Party Konya deputy and chairman of the Youth Branch Abdulkadir Karaduman, "We are in the expectation of a seed to be taken for the sake of all humanity with the intention of rebuilding a fair world for all. Today, by enslaving the people into an open air prison, it also kills the nature, and completes the cultural genocide through capitalism through the biological genocide in nature. Sudanese, Nigerians, Egyptians; Iranians, Turks, Kurds, Arabs; those who stand for the same qibla prayer, today as the rest of the world of imperialism and the siege of imperialism is under the siege" he said. The search for solutions to Western values ​​has brought nothing but crisis, conflict, hunger, blood and tears to the earth. With the Islamic Union, Muslims can only make alliances among themselves. The most important task in this respect is the Muslim youth organizations. We must ensure the happiness of all mankind, develop activities that embrace the whole youth, and organize.